With a history spanning a century, the Royal Horticultural Halls is a stunning venue for corporate or private events. The halls were originally used to host charming botanical art exhibitions, hosted by the Royal Horticultural Society. Since then, the versatile space has gone on to entertain guests of a huge variety of prestigious events, from London Fashion Week shows to beautiful weddings. 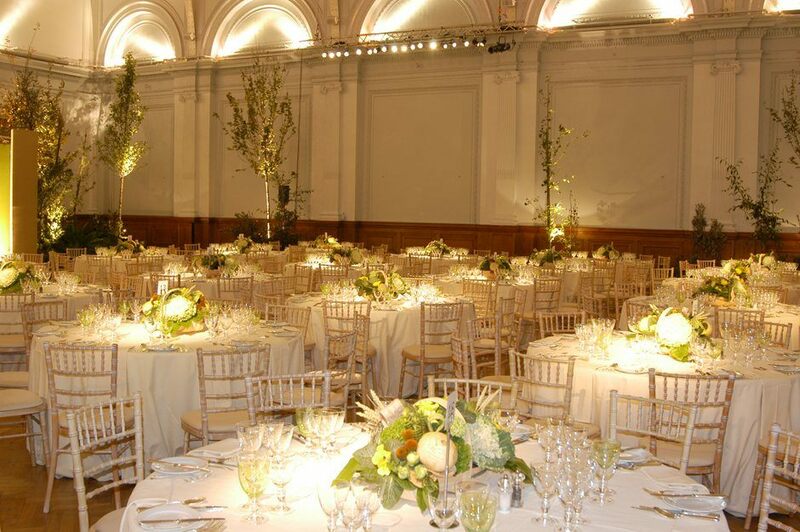 The Royal Horticultural Halls offer a blank canvas space that’s waiting to be transformed. With its dramatic glass vaulted ceilings, the venue is a stunning backdrop for events. The Lindley Hall comes complete with original period features, which are complemented by modern facilities to make event planning simple. The Royal Horticultural Halls is available for both public and private use, offering competitive rates on last minute bookings for April 2017. Whether you’re planning an intimate dinner or a large-scale reception, the Royal Horticultural Halls could be the venue for you. Contact our sales team to book your space at this unique and central London venue.